As you animate, you may want to differentiate between different types of layers, such as pegs and drawing layers, or simply highlight a layer you are currently working on. You can organize layers or make them stand out by changing the layer colour. Click the Change Track Colour button of a layer. Select a colour for the layer. 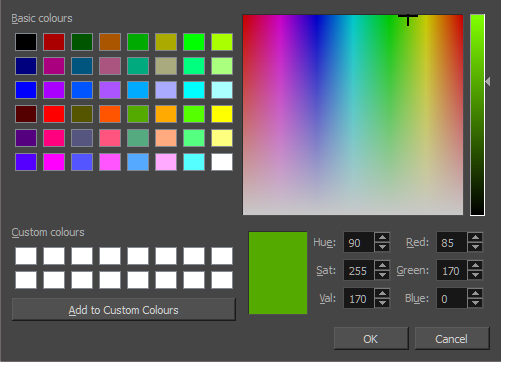 You can modify the colour for any type of layer, such as group, peg, drawing and effects.